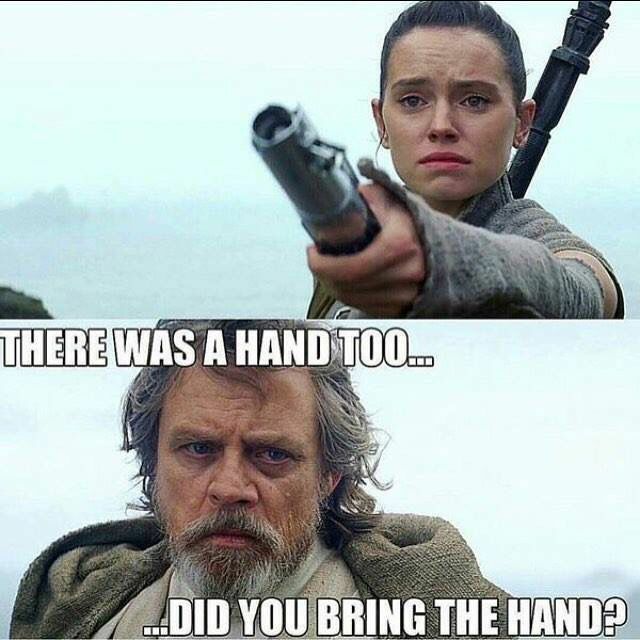 When Luke Skywalker himself jokes about amputation, you know the meme circle is now complete. With Star Wars jokes, the hilarious low-hanging fruit tends to focus on darker things like amputation, lightsabers in the eye, or child-murdering. Now, it looks like Mark Hamill himself took to Twitter to lend us a hand with a brand-new version of a classic Star Wars pun. When Rey finally found Luke Skywalker on Ahch-To at the very end of Star Wars: The Force Awakens, Luke may have been at a loss for words, but Star Wars fans weren’t, especially when it came to meme-ing the occasion. Luke used that iconic blue lightsaber for nearly two full movies, but he was really attached to the hand that he lost with it. 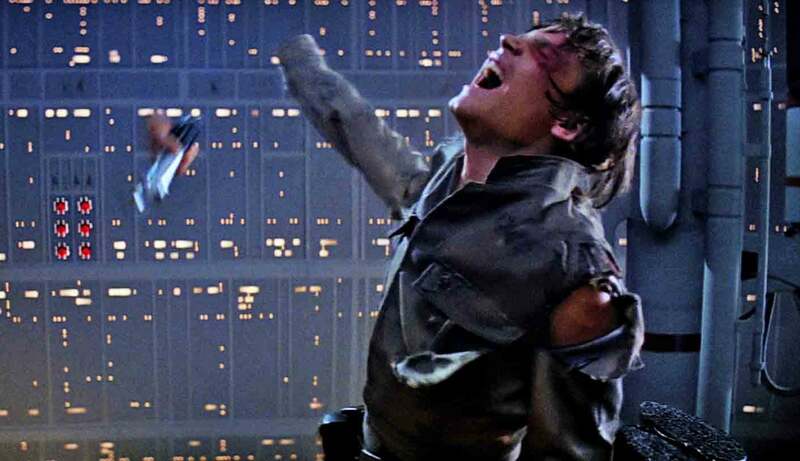 In the battle against Darth Vader at Cloud City in The Empire Strikes Back, Vader chopped off Luke’s right hand. The young Skywalker had seemingly lost both limb and lightsaber for good until Rey impossibly confronted him 30 years later. The Jedi Master probably had one thing on his mind when Rey reached out with that familiar weapon. Luke might have been more attached to the hand than he was to that lightsaber. When a random fan called out Mark Hamill on Twitter Thursday, asking for Hamill’s best Star Wars joke, the actor didn’t disappoint, delivering his own spin on that very same joke. In a franchise as massive as Star Wars, there’s no dearth of memes out there. Other than the one where Luke pokes a lightsaber through his eye, some of the all-time best have to do with missing hand jokes. So everyone give Mark Hamill a hand!